If you live in Arizona and have not experienced a Str8 Up band performance, we can’t help but wonder if you really live in Arizona! For the past 25 years (Yes, TWENTY-FIVE! ), Str8 Up has been entertaining party-going, music-loving audiences all over the valley and beyond and they don’t seem ready to stop any time soon. Whether at a casino, a wedding, a club, a backyard birthday or a charity fundraiser, the music of the Str8 Up band has served as a soundtrack for every occasion imaginable. Part of what makes this band such a beloved staple in the Southwest music scene is that there are NO LIMITS on what they do. They come prepared to give their very best, covering every genre of music one could possibly want to hear; specializing in old school R&B and Latin favorites. The “secret sauce” responsible for the continued success of the Str8 Up band is comprised of a select blend of enthusiasm, love, diligence, wisdom, dedication, and, of course, a charismatic cast of talented musicians and vocalists. The brains, beauty and management skills behind this project reside in the hearts and minds of founders, Rick Vizzerra and Mary Hurtado-Vizzerra. This husband and wife team of native Arizonans has somehow mastered the art of balancing family life, multiple business ventures AND a consistently working live band. 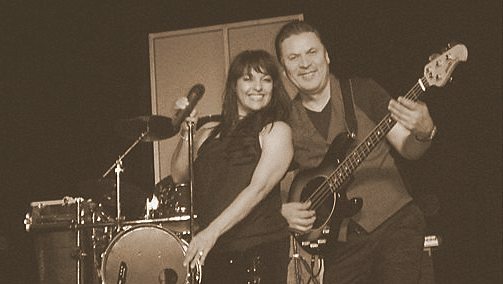 Rick is the band leader, who also plays bass and engineers the sound for the project while Mary graces the microphone and handles much of the booking responsibilities while also regularly cruising the local scene for gifted potential team members to share the stage with. Str8Up is a very well-oiled machine that runs on its own momentum. They have a fiercely loyal fan base that often follows them from venue to venue and all of the many artists who have performed in the Str8Up project over the years are equally committed to providing a high-quality, high-energy experience for all involved. Mary and Rick have created an environment where the talents of all who work with them can thrive. Each individual is encouraged to be as great as they are and are embraced and supported by the rest of the band. Str8 Up is a true music family and it is this vibe that continues to attract the masses and keeps the scene alive. Here’s to 25 years of excellence in live music performance! 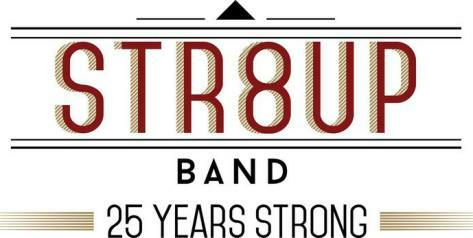 Email us at str8upband@str8up.com to subscribe to our monthly e-blast and stay up-to-date on what we’ve been up to. The e-blast features upcoming shows. STR8UP IS THE HOTTEST DANCE BAND IN AZ!